Making Clouds as simple as they can be, but no simpler! For those of you who may not have noticed PaaS V2 (Azure Service Fabric) was announced a while back. The familiar PaaS V1 Cloud Services based Web and Worker Role architecture is now legacy. They aren’t going away, but Microsoft will not be spending any more development effort on them. PaaS V2 is the future. 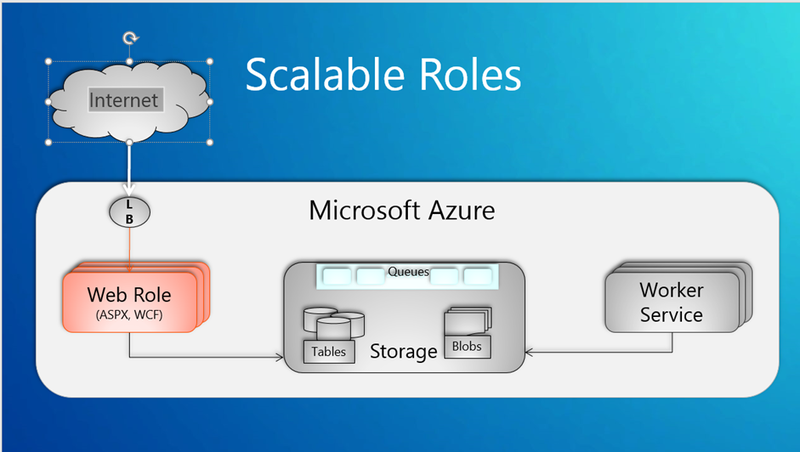 The traditional architecture of Cloud Services that has been with us since the beginning of Azure normally follows the pattern of a web farm implemented as a multi-instance Web Role which passes data through an Azure Storage Queue (and often) Azure Blobs and/or Tables to a pool of one or more Worker Roles used to do background processing. One natural migration path is to replace the Web Role with a WebApp and the background Worker role with a WebJob. 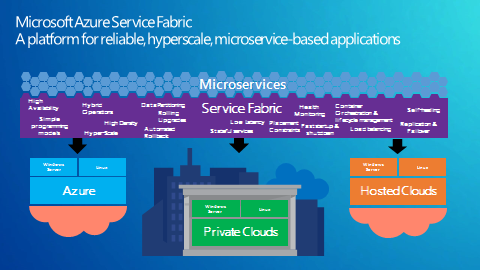 Azure Service Fabric (currently in Technical Preview) is a newer micro-service-oriented architecture that was designed for hyper-scalability. Many of the Microsoft first-party applications such as SQL Database, IoT Hubs, Cortana, and Document DB are built on this architecture. If you expect to build the kind of application that will scale to support thousands or even millions of users Service Fabric may be for you. Otherwise investigate moving to a WebApps/WebJobs architecture. I am a Cloud Architect and Consultant. Over several years I have been working with companies to help them design and build .NET based applications for public and private clouds. My focus is the Cloud, Public Clouds and Microsoft's Windows Azure Cloud platform in particular. This entry was posted in Application Development, Architecture, Cloud, Cloud Computing, Microsoft Azure, Microsoft Azure WebApps, Microsoft Azure WebJobs, PaaS, Windows Azure, Windows Azure Web Sites and tagged Azure, Service Fabric, WebApps, WebJobs. Bookmark the permalink.